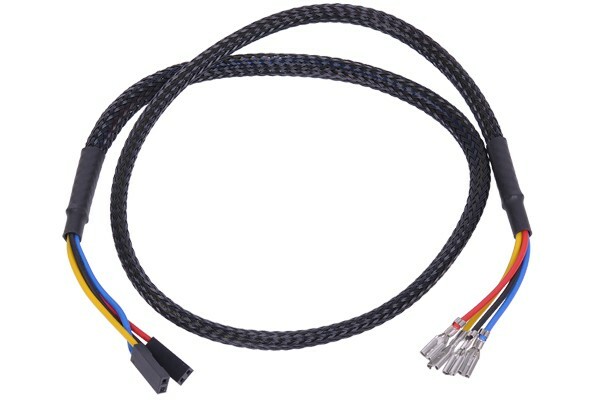 With this button/switch cable it is possible to quickly integrate buttons into the system without the need for soldering. Simply push the plugs onto the correct pins and the button can be used! To answer my question from my .nl account. Bought this , 19mm and a 16mm push button of phobya, they fit perfectly on the 19mm phobya push button pins , the pins of 16 mm are to small. This doesn't stop you of soldering or adjusting the cable. Wo schließe ich die beiden Kabel für die Beleuchtung (wahrscheinlich Gelb) des Schalters an? ?